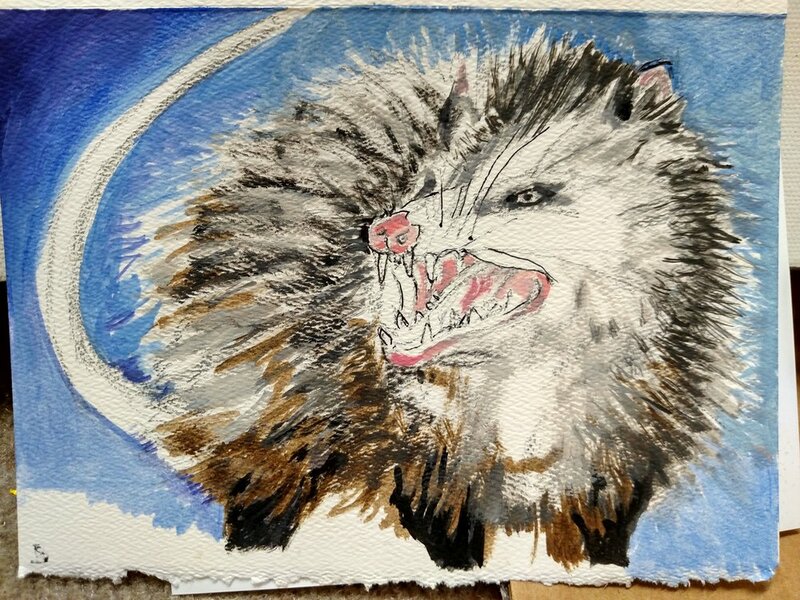 Last art made 2017 and 1st art of 2018 "Opossum"
This opossum attacked my chickens. The Rooster stepped in but got battered. 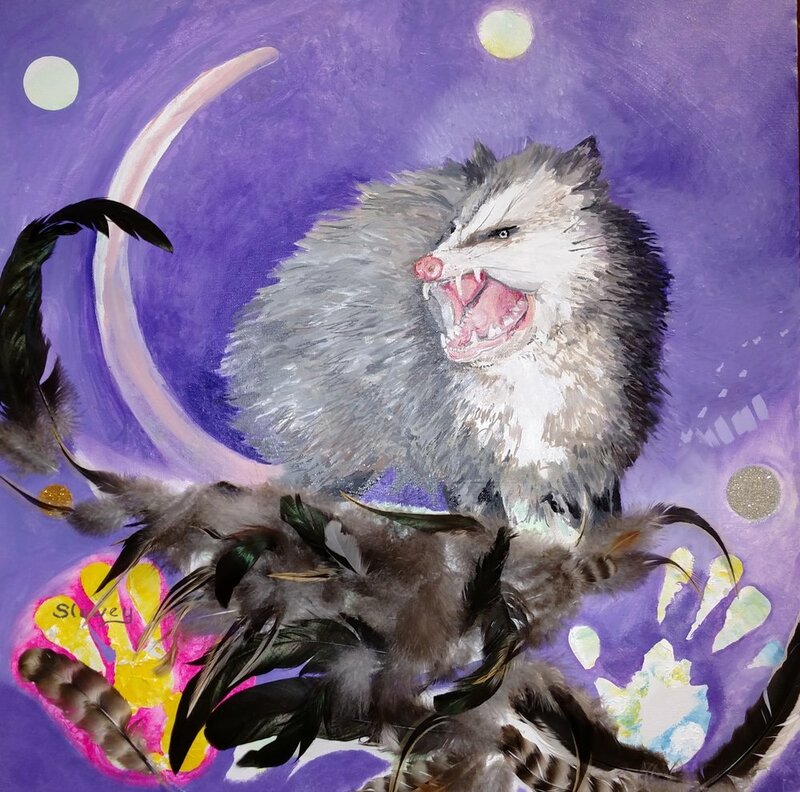 When I frantically tried to shoo it from the coop-- opossum turned toward me! Yes the poor creature would have killed the chickens and would have hurt me too; had to take it's life. I feel bad as I know all God's creatures have a golden side, a useful side. Opossums, as I researched, eat a multitude of Ticks. They keep the Lyme disease from the tick born virus away from us. In mathematics the number sequence of the magic or secret explanation of form, the Alpha and omega is the Fibonacci equation where the last number is added to the present. This is what I’ve been exploring for the last couple of years because my last painting effects my next. Fibonacci is also known as the Golden Section or Mean. Using this as my “Foil” in the designing of each canvas frees me to use what so ever objects I am inspired by and I look for relationships. Objects placed with each other become subjects. A Subject is cerebral, causing one to think from their point of view. I wish my paintings to have both a cerebral and emotional effect on the viewer as I believe these are the stuff of life; a life about relationships. I am therefore creating life and I hope that as I send the paintings out into the world, they do well to touch the human spirit. Paradox also is important to my own interpretations. I want the story created to be ambiguous, open ended.